1Excludes L model. Not available with special financing, lease and some other offers. See participating dealer for details. 2See Dealer For Details 3Excludes L model. Not available with special financing, lease and some other offers. See participating dealer for details. 4Must qualify through GM Financial. Not available with special finance, lease, or some other offers. Take delivery by 04-30-2019. See dealer for details. 5Excludes L models. Monthly payment is $13.89 for every $1,000 you finance. Example down payment: 5.2%. Must finance with GM Financial. Some customers may not qualify. Not available with lease and some other offers. Take new retail delivery by 4/30/2019. See dealer for details. 1Excludes L model. Not available with special financing, lease and some other offers. See participating dealer for details. 2See Dealer For Details 3See Dealer For Details 4See Dealer For Details 5Excludes L model. Not available with special financing, lease and some other offers. See participating dealer for details. 6Must qualify through GM Financial. Not available with special finance, lease, or some other offers. Take delivery by 04-30-2019. See dealer for details. 7Excludes L models. Monthly payment is $13.89 for every $1,000 you finance. Example down payment: 5.2%. Must finance with GM Financial. Some customers may not qualify. Not available with lease and some other offers. Take new retail delivery by 4/30/2019. See dealer for details. 1See Dealer For Details 2Not available with special finance or lease offers. Take delivery by 04-30-2019. 3Must qualify through GM Financial. Not available with special finance, lease, or some other offers. Take delivery by 04-30-2019. See dealer for details. 4Excludes L models. Monthly payment is $13.89 for every $1,000 you finance. Example down payment: 5.2%. Must finance with GM Financial. Some customers may not qualify. Not available with lease and some other offers. Take new retail delivery by 4/30/2019. See dealer for details. 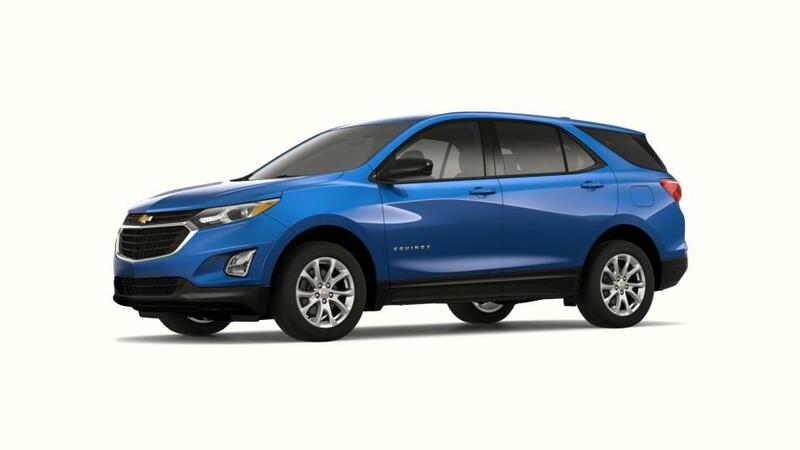 With admirable improvements and a bold look, the new Chevrolet Equinox offers style, versatility and efficiency. Its interior offers plenty of standard characteristics and passenger space. It empowers you to drive confidently. It offers several higher trim levels and option packages with supplementary features, which make this Chevy model more appealing. Its enticing infotainment features make your drive across Fort Worth enjoyable and relaxing. It has extensive passenger space, rear cargo storage and advanced gas mileage efficiency. Our dealership holds a large inventory of this model.